as awful as a natural disaster touches their lives. your pets through it in one piece as well. Prepare, Prepare, Prepare, and Practice. threatened by a wild fire or flood? evacuate your family and your Bird(s) or pet(s)? of it in the real event when disaster happens. Get a few items together and you can start your Earthquake Prep Plan today. Other helpful items when starting out: Patience & A Sense of Humor. 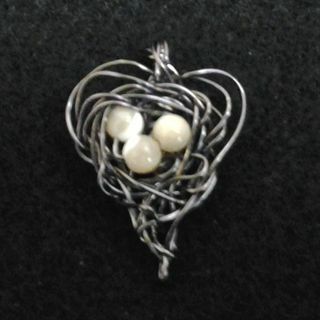 effort you put into this practice. into play if they have not prepared and practiced for a disaster. is always first and foremost to save human lives. 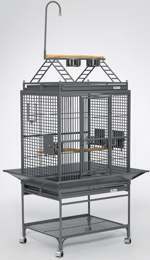 Are your cages or cage racks on wheels and ready to move? 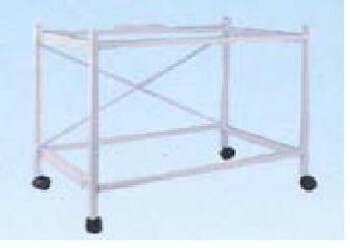 Target, Walmart, Lowes, Home Depot, and Storables all carry chrome rack shelving with wheels available. 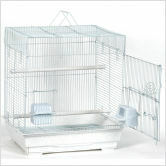 Storables carries the widest selection of various sizes and combinations to fit your cages. 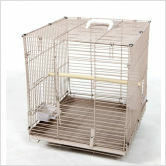 If you have a single or a pair of small birds, cage (s) small enough to carry in hand? 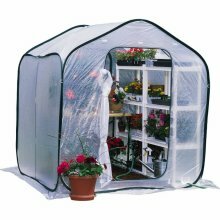 Do you have weatherproof shelter from the elements for the cages once they are out of direct danger from falling materials or glass breaking? If you are selecting a new tent, popup or screen-room type tent, make sure it is tall enough to accommodate the cage(s) rolling rack(s). 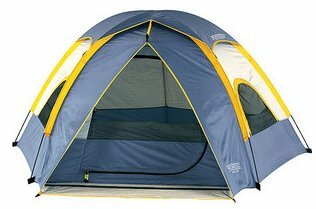 We have found that Coleman has the best selection of 72” or taller tents. Popup canopies can provide limited shelter, some have available zip or clipon “sidewalls”. In an emergency, no outdoor shelter is going to be ideal, but some protection from the weather is better than none. 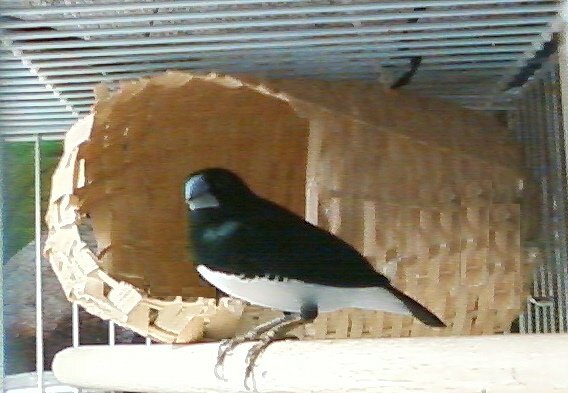 If you cannot provide this type of shelter for your birds, even a large 48” wide roll of clear bubblewrap is an inexpensive option to wrap their cage in, providing slits on one side for adequate air circulation. As a temporary shelter only. 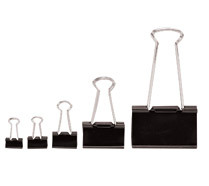 Use bulldog binder clips to clip the bubblewrap to your cages for easy on and off adjustments. 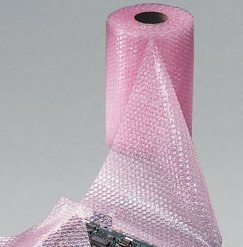 Pre-measuring and pre-cutting sections of bubblewrap for your cages can save time, roll up and store your cut bubblewrap sheets and clips and the roll of duct tape in the rolling Rubbermaid garbage can with lid with other bird supplies for evacuation. Most Emergency Preparedness planning agencies suggest that people keep enough water on hand for each person living in the household for at least 3 gal. per person per day, for 7 to 10 days—the time most federal and local disaster planners expect to be potentially unable to guarantee provision of safe drinking water from your taps at home. How much water do you use in your daily birdcare routine? Have you measured it? Track it. Write it down. 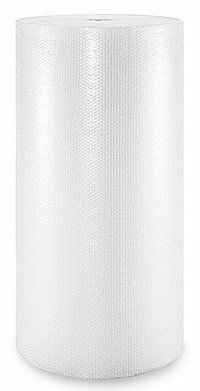 More on water storage ideas. Try keeping track of how much water you use in your birdcare routines for one week. 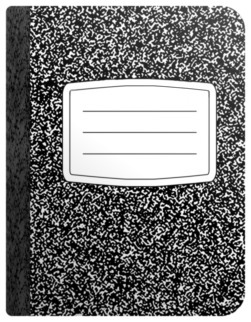 Write the info in your EQ Prep notebook. 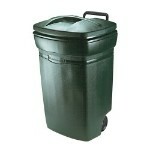 It may vary from day to day, but a whole week should give you a relative picture of your usage. Include all the water you give the birds for drinking, bathing, and cleaning their cages — any usage of water devoted to the birds. 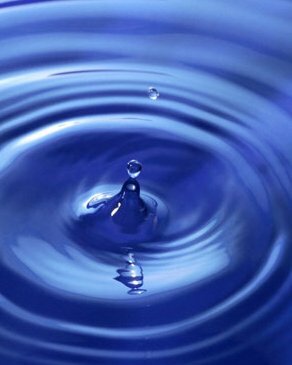 Take the average of your “bird” water usage from the week and add that amount of extra water to your “human” water storage plan. this whatever your average daily usage was, from the one week you kept track . and our birds water needs. 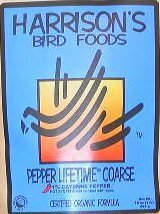 Many bird owners feed their birds one type of diet because that is what they have determined works for them and their birds over time. However, if the supply chain that allows you to purchase that certain type of food is disrupted for an extended period of time , do have an adequate supply of extra bird food put aside for your birds to get through a few weeks of no new purchase availability? Can your birds eat other food(s) well enough to maintain their health through a severe service disruption that may last for an extended period of time? If roadways are blocked, unusable and unfixable for weeks, because of a catastrophic earthquake on the closest fault, bird food is not going to be on the Government Recovery Plan’s list of most important things to provide via FEMA or any other recovery teams dispatched. All contents copyright © Finchfriends.org All rights reserved. Linked documents and logos/graphics owned by respective creators.